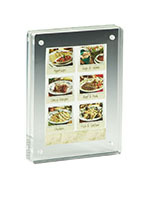 This Picture Frame uses Magnets to Secure Menus, Advertisements, and Photos! 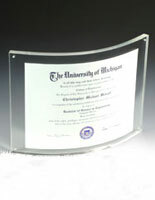 This Picture Frame is Made of Clear Acrylic and is Built to Last! Plastic Photo Frames are Shipped by the Thousands from our Quick Ship Warehouse! Curved, modern design makes images stand out. Functional magnets secure images in place & offer simple assembly. 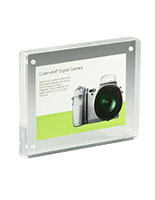 Clear acrylic panels provide double-sided viewing. 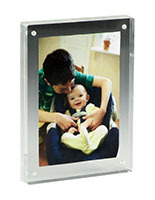 Eliminate the necessity for highly priced laminating and exchange images inside this picture frame whenever you view fit! The 1/4" thick panels are secured together with 8 miniature magnets, 4 on each block, to hold your images in place. Merely slide the acrylic blocks apart for easy picture changing. 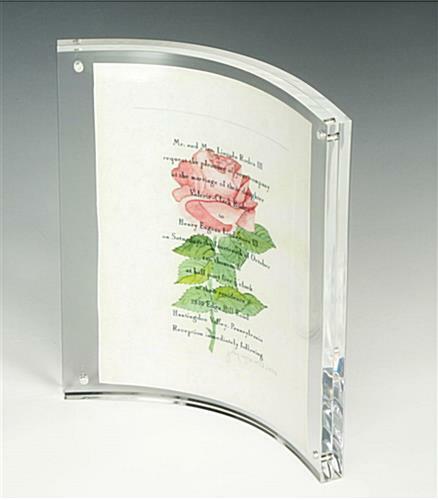 The picture frame, also known as a double-sided picture frame or acrylic sign holder, can be displayed in either a concave or convex presentation. 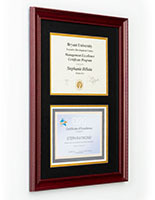 This appealing display is a picture frame with sleek, polished edges and a professional look. Outstanding for corporate, commercial, or residential use, it is sure to capture the eye of any passerby! This picture frame clearly presents your campaigns, keepsakes, and photos in a unique fashion! Your special memories or new product campaigns will literally stand out in this inventive holder with its uniquely curved shape. 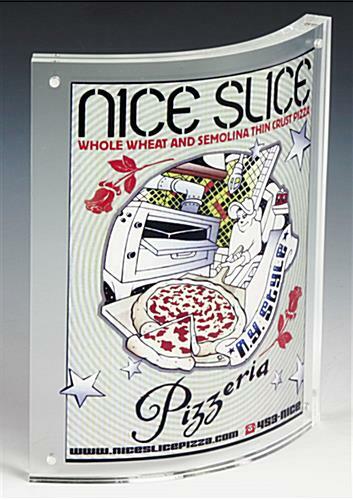 Its modern design brings contour to flat pictures or media content resulting in an effective tabletop display. Boost the sale of a new product at your store, or showcase a wedding invitation in your home! 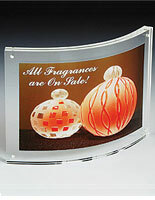 This acrylic sign holder, picture frame is a very versatile display.